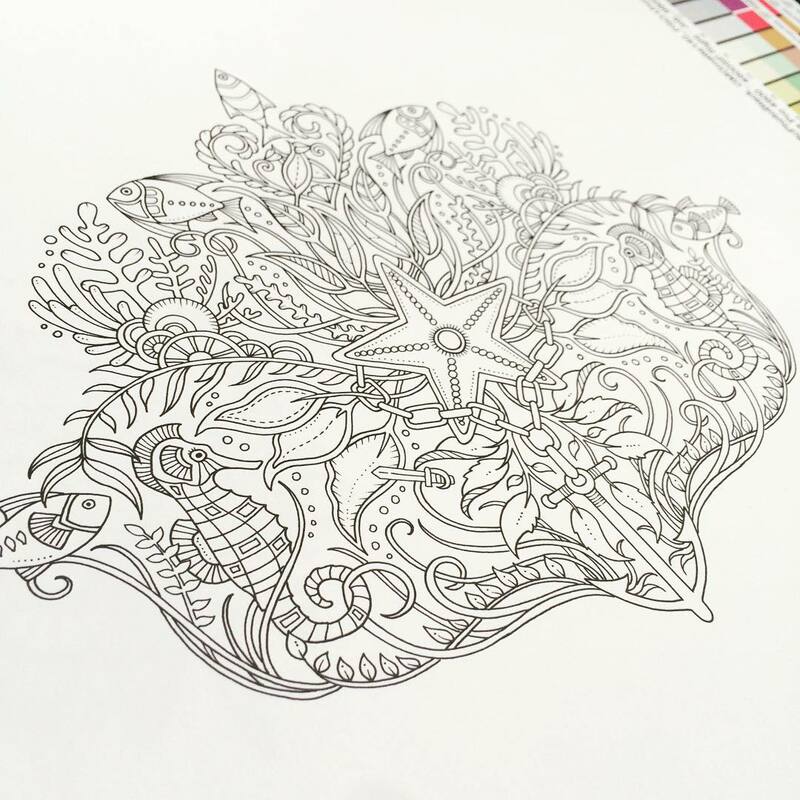 It’s official, adult colouring books are out and about and I’m proud, excited, beside myself really! I will admit I love colouring with my kids, with my own picture of course. My husband and I have been known to race for one of the Crayola mess free colour wonder books back in the days when we were a one child family and that child went to bed. In the end we had to buy him another book… and another because we would colour the majority of it ourselves. Last Christmas my extended family sat around the dinner table colouring a variety of Christmas themed colouring sheets I had printed off for the kids. We were all very possessive of our colouring sheets and they weren’t to be messed with. Yes the kids were there too, enjoying the adult company! 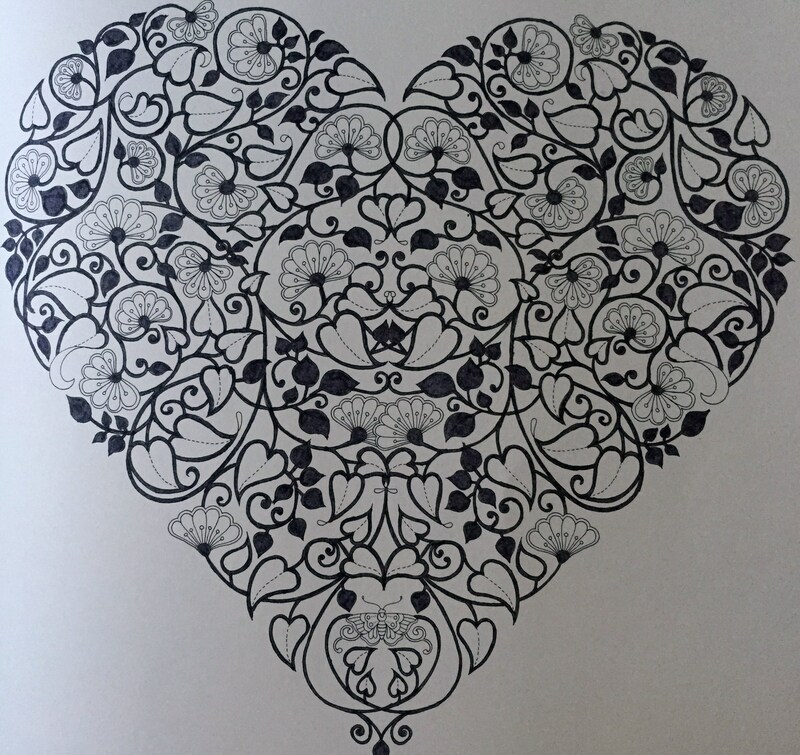 I must admit I was a bit behind the times finding out about the adult colouring books. I first saw it on a Facebook post by a friend showing her creation. By the time I got around to actually visiting the local bookshop I was bitterly disappointed when there were none of these books to be found. What I thought was the “next best thing” was not so for them and they didn’t know what I was talking about… really! I left it a little longer, life gets in the way and eventually when I remember to go back into the bookshop again they were all over it. And by all over it, I mean they had 3 books left in the shop and had completely sold out of all the others. I bought the one they had on offer and held on to it like gold, so pleased with my purchase. 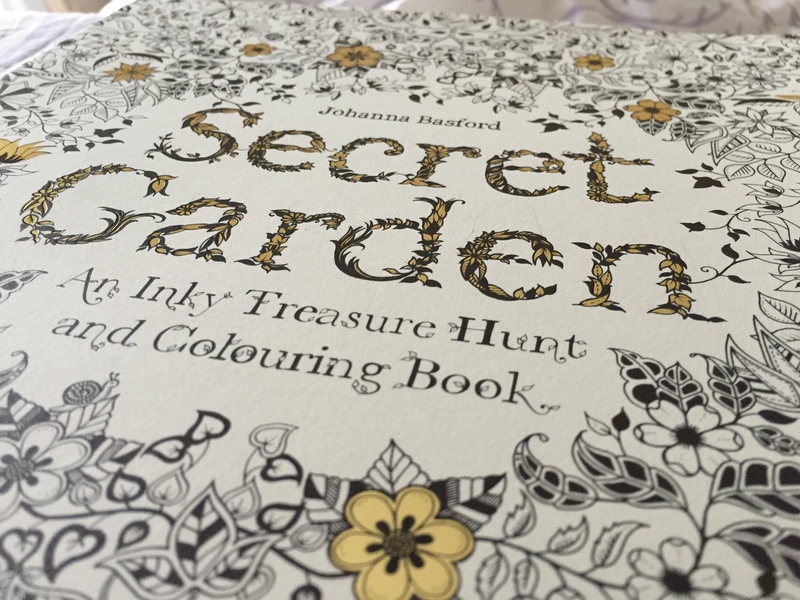 My first purchase was Johanna Basford’s Enchanted Forest, go and have a looksee here. Now you would think that I raced home and started on it straight away but work and kids activities got in the way. Next thing you know I’m giving away my precious book to a friend as a thank you gift for lending my children ski outfits for the snow. A gift I thought was great but I’m not sure if she knew what it was all about or is interested but I hope I’ve introduced her to something fun or she gives it to someone who will. So now at a loss with no adult colouring book but armed with further knowledge of where I can now buy them locally, a bout of the flu soon fixed that. 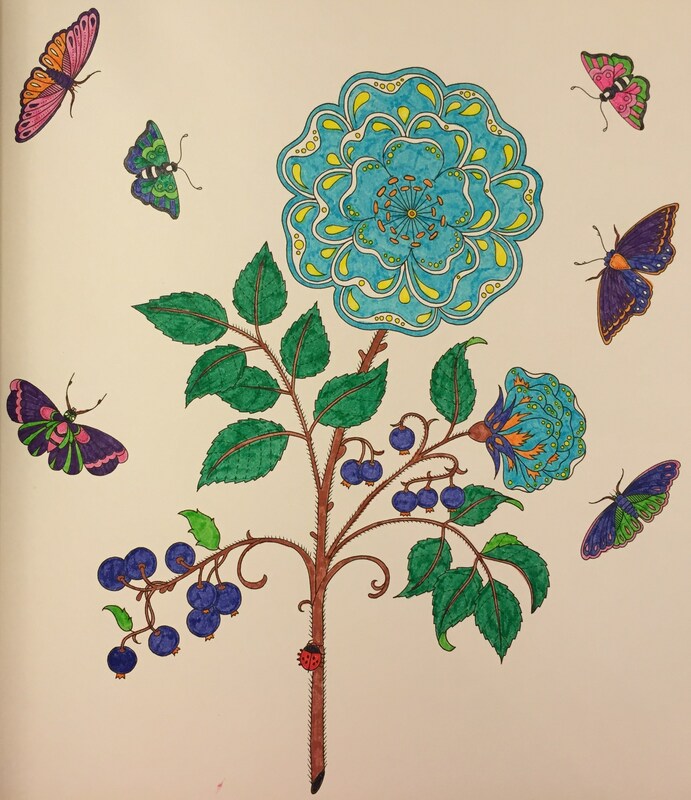 A trip to the chemist via my favourite pyjama shop Bedroom Bliss (also on Facebook) to purchase my next colouring book, Johanna Basford’s Secret Garden and my world was looking brighter. 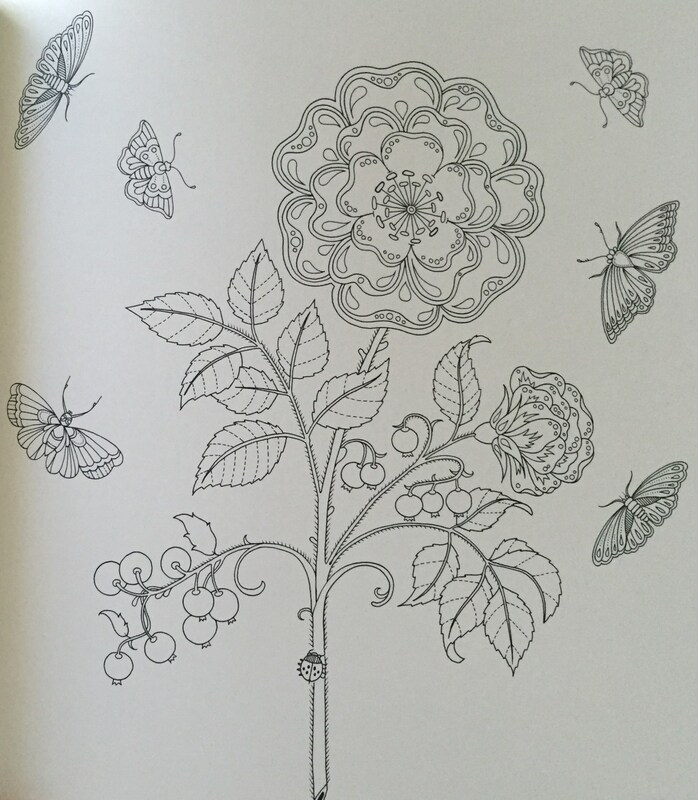 You can have a little preview at the Secret Garden book here. In between napping and sneezing, my first picture was complete. 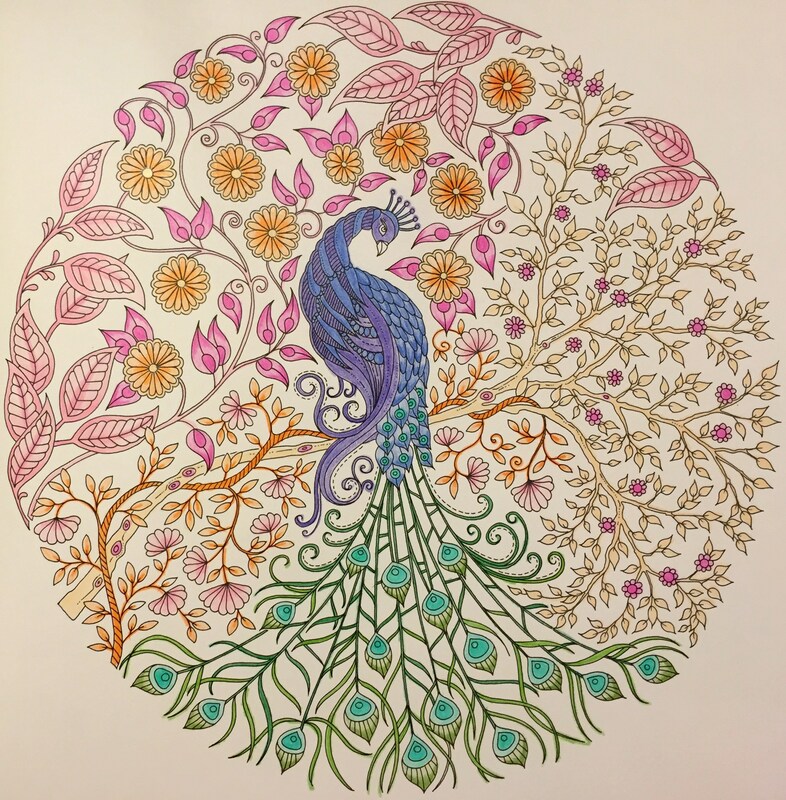 And now for the excuses… It’s not a finished piece I love, nor is it spectacular but it is mine and I enjoyed every moment of colouring through the flu. The moment you realise you’ve made an incorrect colour choice and it’s not coming together how you imagined, is disappointing. There’s no backspace or undo button or magic eraser. The pictures continually evolve and there’s something nice about leaving some of the outline uncoloured if you feel the urge. In reality, I could simply frame each page uncoloured, they are just stunning how they are. I haven’t gone out and purchased new colouring equipment although I would love to. I’ve used what we had at home to see what worked and what didn’t. I’ve been using Penline watercolour markers, Faber Castell textas and most recently I experimented with Crayola pencils. I can’t wait to get my hands on a set of Staedtler triplus fineliners and see how they work. There are a few pictures in my book which are going to require some fine tip work and may also require a trip to the optometrist. And oh for a lovely set of coloured pencils, I will be investigating those shortly. 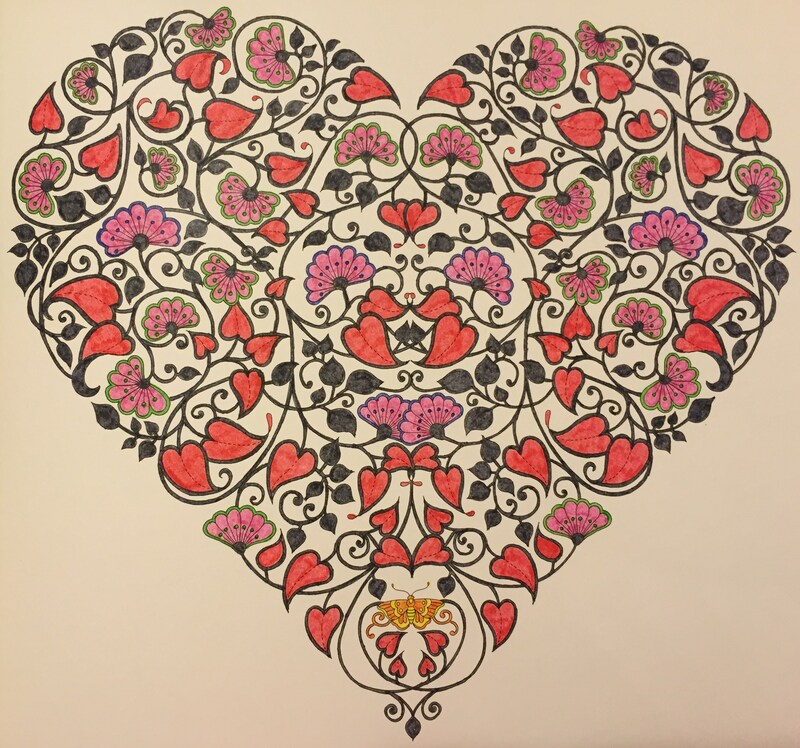 As part of my research I went to purchase some of the cheaper adult colouring books but they just didn’t take my fancy after being exposed to Johanna Basford’s amazing artwork. I will keep looking for a book that catches my eye but in the mean time I eagerly await Johanna’s new release Lost Ocean in October 2015. She has teased everyone with a sample of what is to come here. I’ll be on the Bedroom Bliss door step minus the flu waiting for them to open the box! 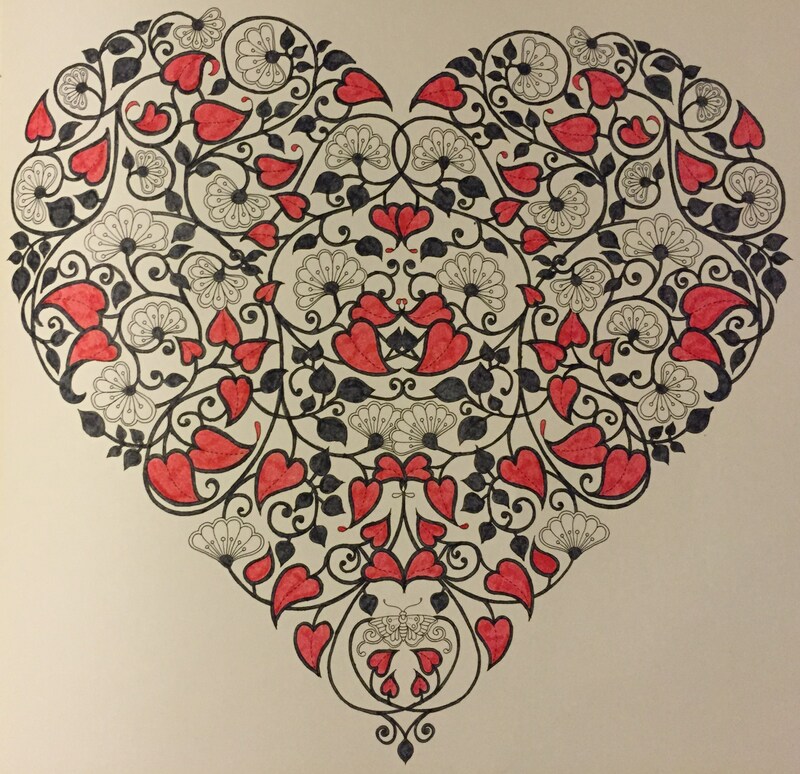 I’m totally in awe of the talents of Johanna Basford. I looked her up online and found her delightful website here. She has a Colouring Gallery where anyone can upload their finished pictures here, which is great to look at and get ideas. This girl from Scotland has an amazing talent I’m glad I get to benefit from. 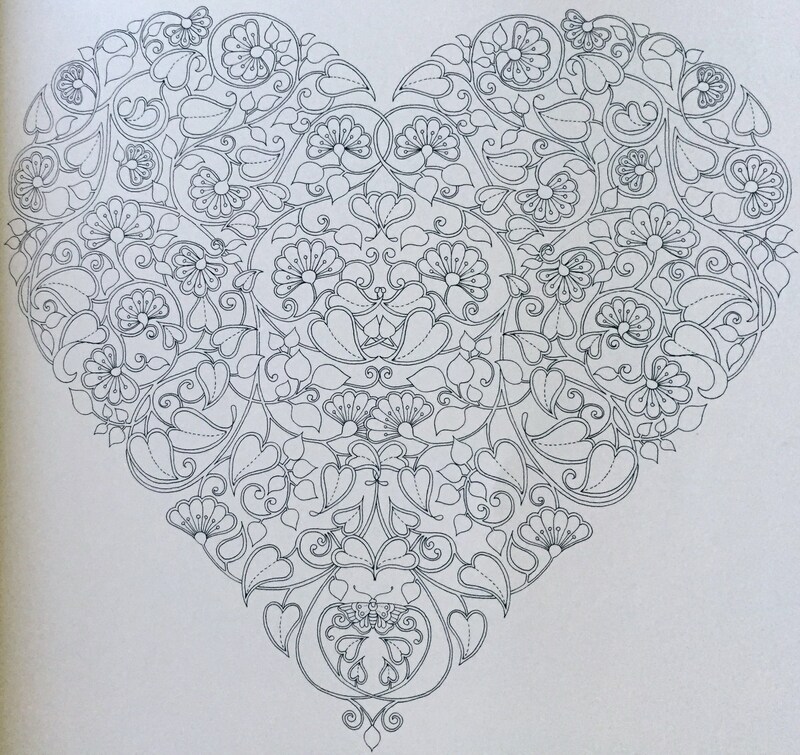 When I took a break from colouring in, my youngest child was flipping through the colouring book and commented on how neat I was and said I was very good. He then looked a little closer and noticed a few stray lines and quickly retracted the neat statement. He suggested that he should colour one of the pages which he already knew the answer would be no but then saw a maze and thought he would be allowed to complete this because I could still colour the hedge (umm… no). My boys still love to colour in, we purchased this book on the weekend and they decided to share the book and colour in a page next to each other. I thought this was going to cause many a disagreement but to my surprise, nothing. We all coloured in together and we drew together. I remember in my high school days doodling on paper, sometimes colouring those doodles in and even covering my books in the ones I loved. They are collecting dust in a very safe place! 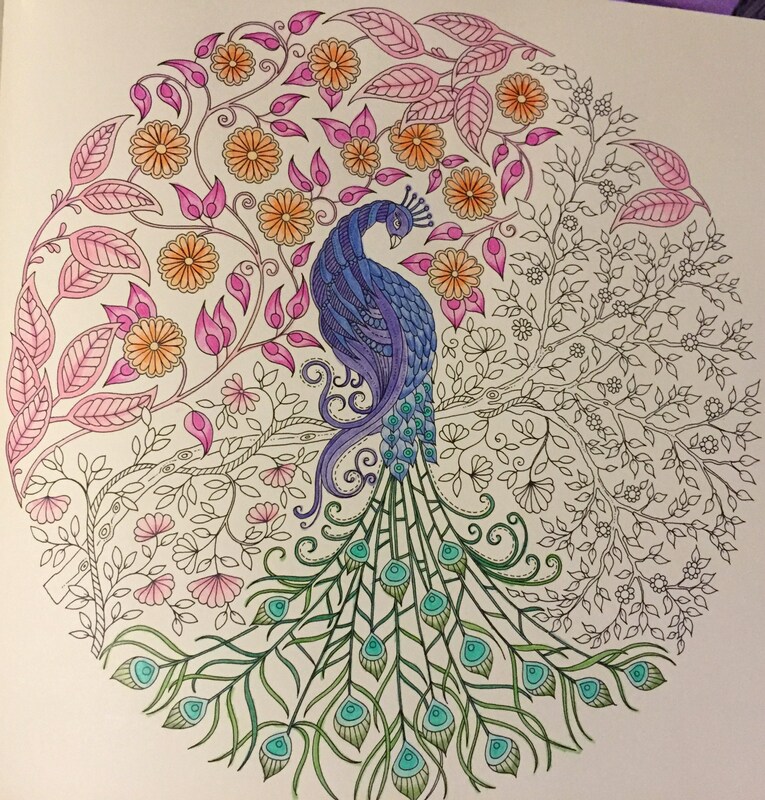 I know they say there are benefits from adults colouring, soothing your mind, aiding in the lowering of depression due to the distraction of negative thoughts and letting your mind wander – my mind needs to wander which is probably why I enjoy this so much.